Just as the original model of the PlayStation 3 was made available in a fancy shade of silver, so too is the newer "Slim" model. Let's hope unlike last time this isn't a Japan-only kind of deal! See, the last silver PS3 was never released in the West. So this one, currently only revealed for the Japanese market, may not either! Though we're checking with Sony just to be sure. 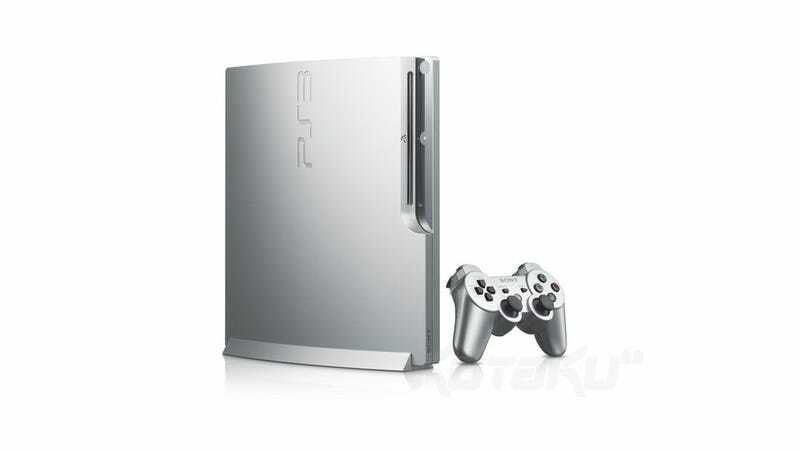 It's "Satin Silver", the same shade as the last silver PS3, and goes on sale in Japan on March 10 as a limited edition. There'll be two versions available: a 160GB version for ¥29,980 (USD$365), while the 320GB version will set you back ¥34,980 (USD$427).